Eurostar UK is a great way to travel across Europe in affordable prices. They offer fast, frequent trains and if you manage to book well in advance you can find really cheap train tickets from £59 return. Trains leave from St Pancras station where you might find the check in at St Pancras a bit disorganised. 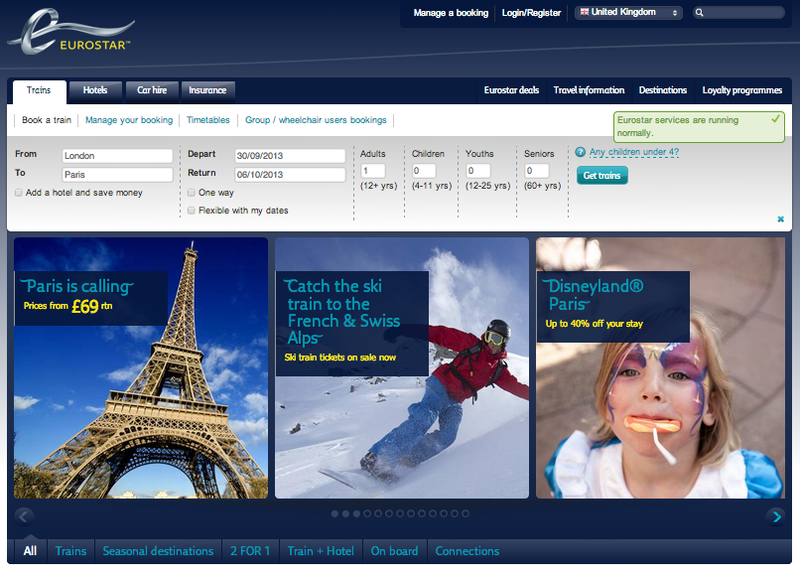 Overall, Eurostar UK is a great way to find cheap train tickets from London to Paris and Brussels. Cheaper, more convenient, and more luxurious than flying, the Eurostar provides an excellent standard for travel to the continent. With almost all customers highly satisfied by their journey, citing good staff, convenient booking and trouble-free travel, the Eurostar is definitely an excellent way to get about, and start your holiday off in style.